Vygotsky vs. Piaget: A Paradigm Shift | Curriculum Management Solutions, Inc. When I was doing my initial teacher training, Jean Piaget’s theories of learning were a major focus of my required Ed Psych class. I didn’t know it at the time, but Piaget’s theories had already been in decline for some years. He was in our textbook, however, and textbooks are expensive, so we all studied Piaget and absorbed his ideas about how and why and when learning occurred. In its simplest form, Piaget’s theories assert that cognitive and physiological development must occur before learning, and in some instances this is true. The human eye has to reach a stage of physiological development before a child can move from larger to smaller text and that development is not at the same point for all children. Thus, the teacher is sometimes waiting on the development of the child. While Piaget’s theories were waning in importance, those of Russian psychologist Lev Vygotsky began to receive more attention. Vygotsky died young before his theories could be completely fleshed out (and some of his work has not yet been fully translated from Russian) but they provide fascinating insight into how children learn. Vygotsky argued that social learning preceded cognitive development. In other words, culture affects cognitive development. Whereas Piaget asserted that all children pass through a number of universal stages of cognitive development, Vygotsky believed that cognitive development varied across cultures. According to Vygotsky’s theory, cognitive functions – social and individual – are then affected by the beliefs, values, and tools for intellectual adaptation of the culture in which a person develops. This makes sense when we consider that cultures have varying tools for intellectual adaptation. We teach children how to take notes to remember things, but pre-literate cultures use other methods to insure the reliable preservation of information, such as call and response, poetry, knots on a string, rote memorization, etc. For Piaget, thought preceded language. A child learned to think first, and then from that thought, speak. 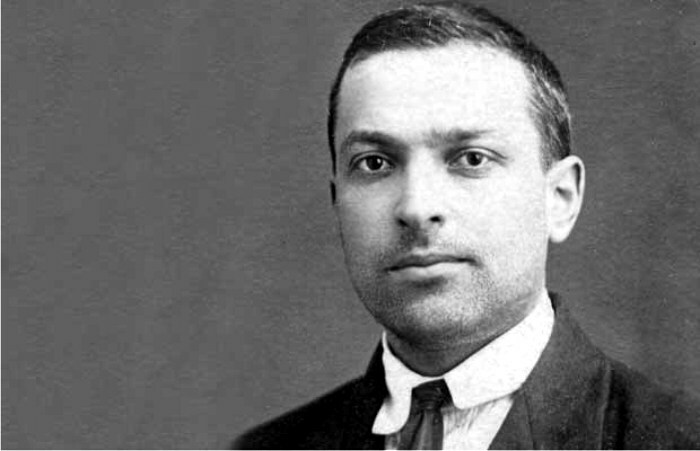 Vygotsky believed that thought and speech were separate, intact processes that merged around age three. He also believed – and this is key – that cognitive development occurred as language was internalized. It appears that the language referred to here is not just what the child can produce, but also what the community of adults around the child is using. The socio-cultural environment shapes the child’s cognitive development, the way he or she understands the world. This dovetails nicely with what we understand now about the critical nature of vocabulary in predicting a child’s academic success. Arguably Vygotsky’s greatest theory was the Zone of Proximal Development. Piaget asserted that cognitive development had to occur before learning, and learning had to be initiated by the child; this became the basis for Discovery Learning. Vygotsky believed that children developed cognitively when they were assisted by a More Knowledgeable Other (MKO: parent, teacher, older sibling, peer) to learn and practice new skills in a supported environment as a precursor to using them independently. Even a brief reflection of basic parenting activities supports this practice: children often lack skills which parents model for them and help them practice. Riding a bike, putting away toys, learning how to hold a book, doing a jigsaw puzzle — all fall into this category. Even the classic tea party could be viewed as a supported practice of table manners for some children. Children have learned important skills at the knees of their parents and tutors since forever – skills they could not have easily developed without adult guidance and support. What those skills were was determined by the child’s culture. Cloth weaving, playing the zither, memorization of lists of battles, use of the abacus, interpretation of law, cheese making, surveying, calligraphy, metal working; whatever the culture deemed important. A child would be moved incrementally along a continuum of skills by a MKO, who would support the child’s development until he or she could use the skills independently. I often hear teachers, administrators, and laypeople say that kids can’t do higher order thinking until they “get the basics.” While not precisely Piagetian, this idea certainly borrows from the idea that learning cannot occur without some other event or development happening first. What is exciting about the Zone of Proximal Development is that children don’t have to “get the basics” prior to developing cognitive skills. They need only have a reliable, skilled MKO who can work with them in that area just above their own skill level, and support them as they practice new skills to the point of independence. This feels like a good place to point out that “the basics” are mostly not necessary for higher order thinking. Reading is an important skill, and the primary vehicle through which (in our culture) information is disseminated. But reading is not actually necessary for learning to think critically and analytically. Children can listen to a story, prior to knowing how to read, and be guided through the process of evaluating and analyzing events, characters, motives, themes, etc. They do not need to spend hours on worksheets practicing word families and consonant blends or basic comprehension questions before they can hear, enjoy, and discuss a story critically if they have sufficient guidance and support from a MKO. Unfortunately, children from impoverished backgrounds and English Language Learners are often condemned to worksheet purgatory instead of being assisted to develop the higher order thinking skills they need to be successful in school. Additionally, this relegates them to the least engaging aspects of education rather than provide them with hands-on, engaging activities that stimulate still more learning. Vygotsky’s theories form an important part of our Cognitively Challenging Instruction training – using the Zone of Proximal Development to move children toward greater rigor. Vygotsky’s theories of the importance of socio-cultural factors in learning also provide support to another area of great concern: Culturally Responsive Instruction. Our next journal post will discuss the links among all three of these areas.